June, 2016 | Roland Dumont Agency, Inc.
Why Is My Auto Damage Estimate Not What I Anticipated? Have you ever wondered what the body shop technician is looking at when they are writing up an estimate for damages to your vehicle? You may expect the estimate to come back at “this number” but are shocked to see it is actually “that number.” Why is it so different from what you thought? Let me try to shed some light on how damages are estimated. 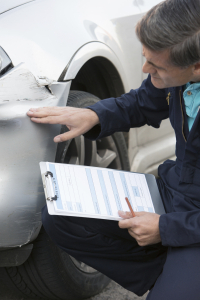 First, one must understand that there are several different parts available to repair an auto. There are original manufactured parts (OEM) from the dealer, remanufactured parts that are sent back to the dealer to be remanufactured and put back out on the market, and aftermarket parts which are created from a generic mold by aftermarket companies. OEM parts are usually the most expensive while aftermarket parts are usually the least expensive. A shop will look at the damaged part and the surrounding parts to see if they are also damaged. Let’s say you have damage to your driver side front door. A shop will look at the door and see if the damage can be repaired or if the door needs to be replaced. They will also look to see if the front driver side fender has damage since it is an adjacent part. Same with the driver side rear door. They will inspect the side mirror, moldings on the door, and also check to see if only the outer shell needs to be replaced or the entire door. Remove and install (R&I) time is a major part of a repair estimate and is taken into account on every estimate. Many of the parts that are damaged are not readily accessible to remove. A body shop has to remove other parts that surround the damaged part in order to repair or replace that damaged part. These R&I times are generally not very long, anywhere from 20-40 minutes for each part, but if the damage is severe enough, it may require many parts to be removed and all the R&I time is accounted for on the estimate based off the labor rate the shop charges. This can add up quickly. Paint supplies and paint labor may also be listed on the estimate. Paint supplies can range anywhere from $150 for a small job to $1,500 for a larger one. Paint labor covers the time it will take to paint the repaired parts of the vehicle, including any blending that’s necessary for the paint to match. If you have had repair work done on your vehicle, you may have paid more than what was originally estimated. That is because when a shop writes an estimate, they are only estimating the damage they can visibly see. Once they begin repairs and teardown the vehicle, they often find hidden damage. This is called a supplement and it can include additional damages found, more time needed to repair these damages, or price differences found when the parts are actually ordered. As you can see, there is much more to a repair estimate than what you might think. There are many things to look at and it can often be overwhelming. If you are worried about a particular estimate you receive from a shop, there is a guidebook called the Mitchell Guide that documents what OEM parts cost and how long repairs should take for the majority of cars. It is a useful tool to compare your estimate to the industry guidelines. Summer has finally arrived! Between record snow storms, flooding, and hail, I thought it would never get here. 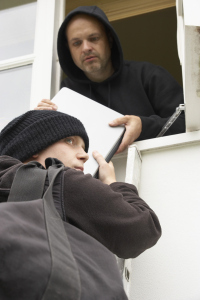 Thankfully, vacation season is upon us but that means burglaries will inherently increase. Each year, there are more than 2 million burglaries, over 65 percent of which are residential break-ins, with the majority occurring in the peak vacation months of July and August. Furthermore, 9 out of 10 home break-ins could be prevented if homeowners would take simple steps to burglarproof their homes. – Stop delivery of your mail and newspapers, or have a friend or neighbor pick them up for you. – Keep bushes and shrubs well-trimmed and keep the outside of your home well-lit. Would-be thieves prefer not to be seen. – Use timers on lights, televisions and radios to make it appear as if someone is home. – Have your lawn maintained if you will be gone for more than a few days. – Leave the air conditioner on; a silent compressor on a hot day is a good indication you aren’t home. – Check with your local law enforcement agency. Many of them now offer a service where you can sign up to have an officer drive by your home and check on it during a regular shift…and it’s usually free! – Unplug everything but the refrigerator, freezer, and the lights and radios you have set on timers. – If possible, turn off the water to your sinks, toilets, dishwasher, washing machine, and hot water heater. More than half of the U.S. population is planning a summer vacation away from home this year. If you’re one of them, be sure to follow these tips and you’ll be sure to have an enjoyable – and safe – summer holiday.